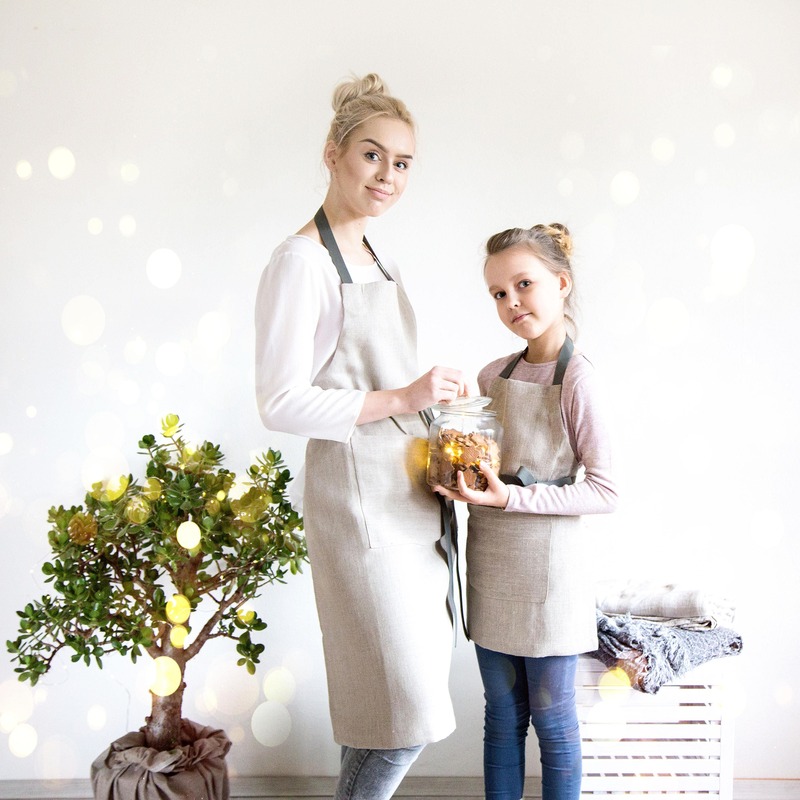 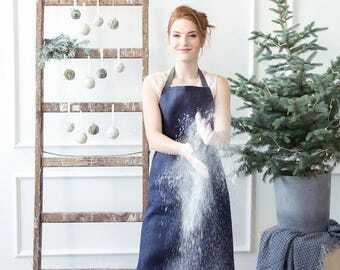 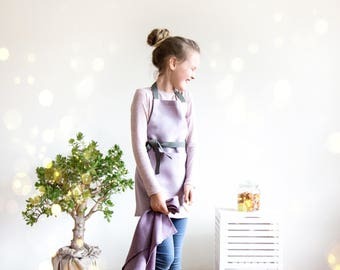 Cooking aprons set for Mother and Daughter made of Natural linen with adjustable straps. 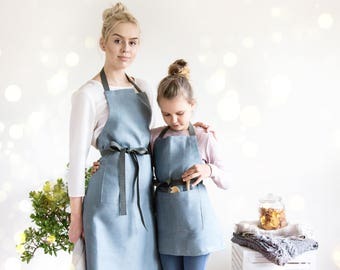 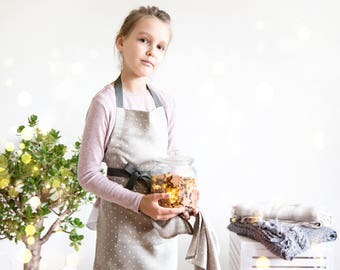 Mommy and me aprons are perfect cooking aprons and if you will order some matching towels it would be Neutral foodie gift. 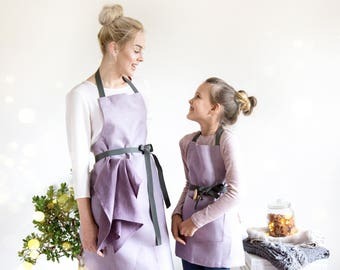 If you like to cook with your children this baking set is must have in your kitchen. 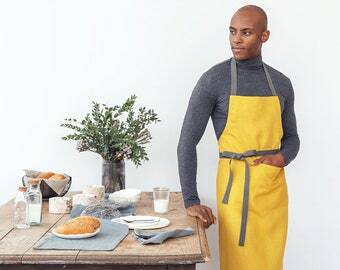 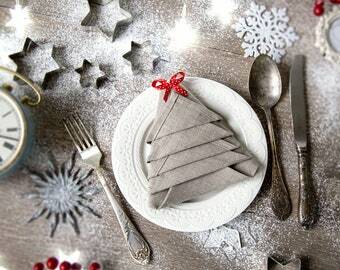 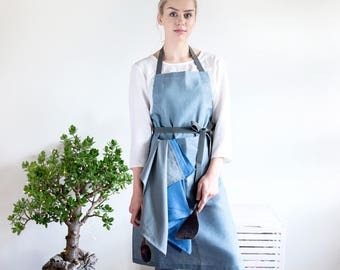 With this full apron your clothes will avoid stains so you will be safe and stylish. 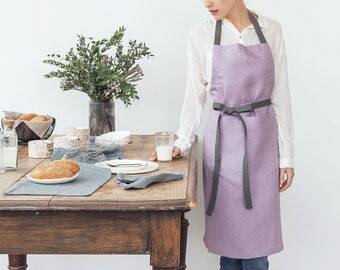 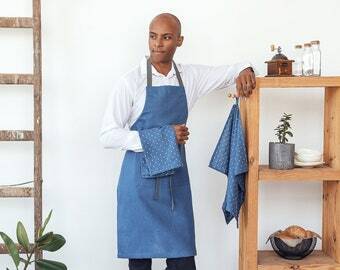 Chef apron with pockets made of hard linen with pockets and long straps.